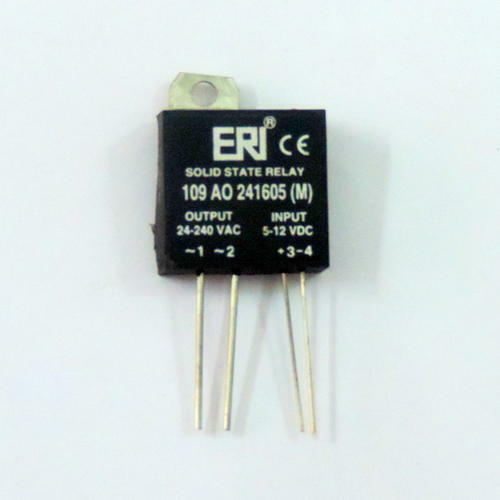 Under the expert guidance of experienced professionals, we have been able to offer high quality Single Phase PCB Mounting type Solid State Relays which starts from 02 Amps till 07 Amps to our valuable customers. Available with us at industry leading prices, these products are known for their low power dissipation, high performance and minimum maintenance. Moreover, the easy installation and robust design make these products highly demanded in various industrial controlling operations. There are various types of PCB mounted SSRs available which will be suited for your requirement. Please contact us for more information on it. Under the able guidance of skilled professionals, we have been able to offer PCB Mounting Relay of 002 Package to our valuable customers. These products are known for their optimum functionality and high efficiency. The products offered by us are widely used in different industrial controlling applications. Offered products undergo various quality assurance procedures conducted by our team of quality controllers in order to ensure a defect-free range. 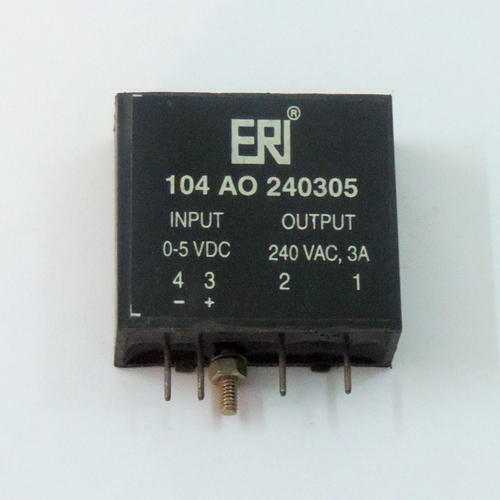 Our company is instrumental in offering best quality Single Phase PCB Mounting Relay - 004 Type to our valuable customers. Available with us at industry leading prices, these products find wide application in various industrial controlling applications. With our well-equipped warehousing unit, we have been able to offer these products in bulk quantities and tamper-proof packaging. 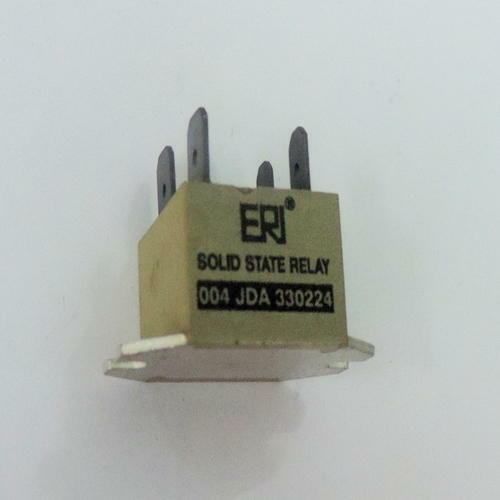 Owing to our rich experience and vast knowledge of this domain, we have been able to offer Solid State Relays PCB Mounting - 006 Type to our valuable customers. 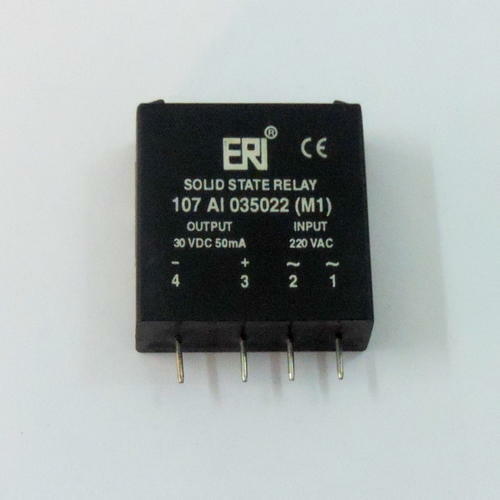 In this type relay we offer from 02-07 Amps, Precisely engineered in accordance with the industry laid standards, these products are used in different industrial controlling applications. Their robust design, high performance, sturdy construction, easy installation and minimum maintenance make these products highly user-friendly. Our company is instrumental in offering premium quality PCB Mounting Relay of 008 Package to our valuable customers. Being a quality conscious company, our team of quality controllers ensures that the premium quality of our product range is never compromised. Highly appreciated for their robust design, high performance and minimum maintenance, these products are used in different industrial controlling applications. 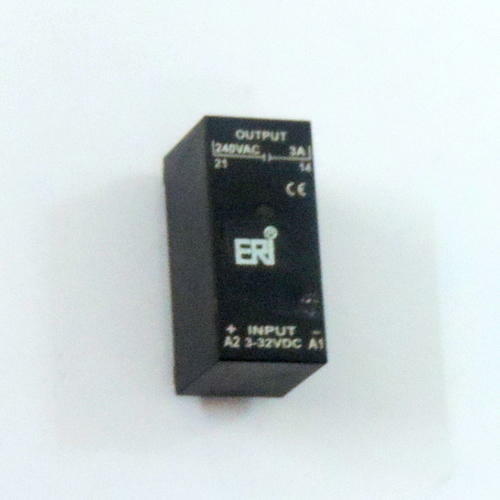 We offer optimum quality PCB Mounting Relay of 3 Amps to our valuable customers. These products are precisely designed using cutting-edge machinery in accordance with the industry set standards at vendors’ end. Highly motivated to attain optimum customer satisfaction. 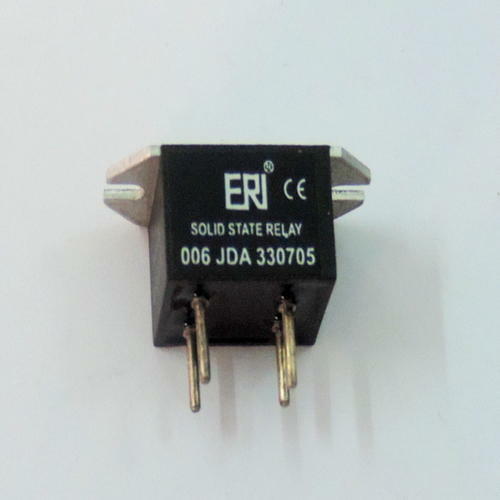 Owing to our rich experience and vast knowledge of this domain, we have been able to offer Solid State Relays PCB Mounting - 017 Type to our valuable customers. Precisely engineered in accordance with the industry laid standards, these products are used in different industrial controlling applications. Their robust design, high performance, sturdy construction, easy installation and minimum maintenance make these products highly user-friendly. 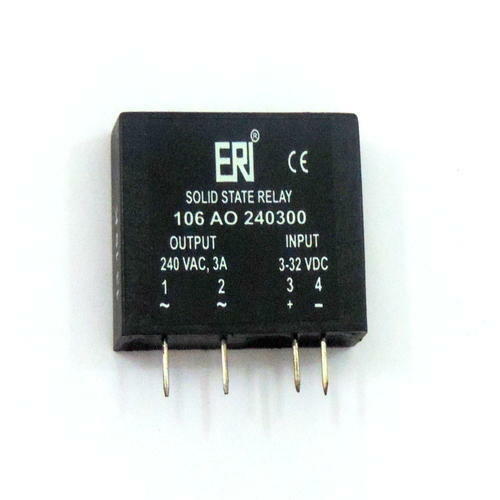 Under the expert guidance of experienced professionals, we have been able to offer high quality Single Phase PCB Mounting type SSR Relays which starts from 02 Amps till 07 Amps to our valuable customers. Available with us at industry leading prices, these products are known for their low power dissipation, high performance and minimum maintenance. Moreover, the easy installation and robust design make these products highly demanded in various industrial controlling operations. There are many PCB mounted SSRs available. Please contact us for more information on it. Looking for “PCB Mounting Relays”?